Last month was all about the moms. This month, we’re giving the floor to the awesome dads! 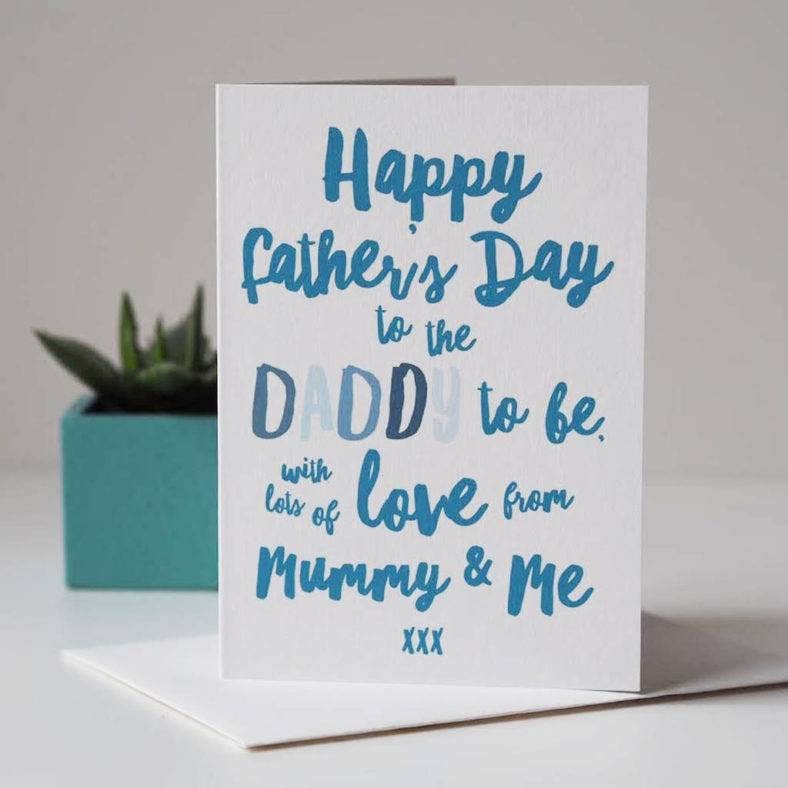 Father’s Day is fast approaching, and we’re sure you’ve all had your fair share of panicking over what gift to buy or how to decorate your cards like artists. If you still haven’t figured out what to do with your greeting cards or gift ideas, check out our list of amazing designs you can totally use for the occasion. 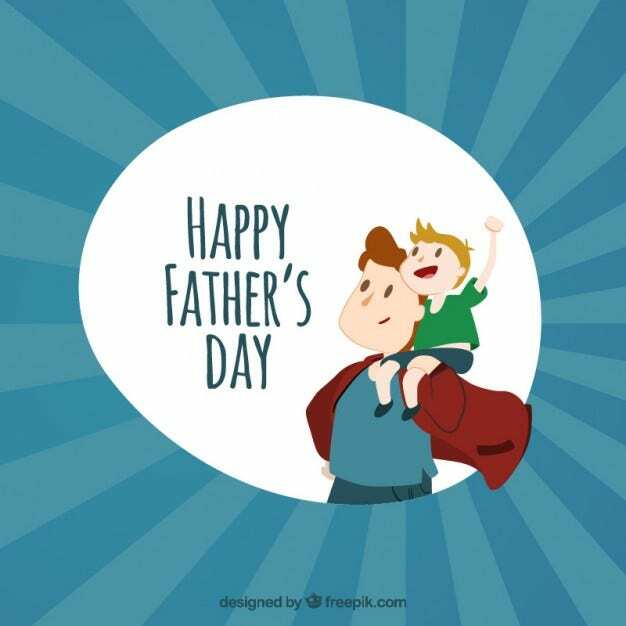 We’ve prepared some of the best Father’s Day designs, backgrounds, illustrations, and typography for you to freely download, purchase, or customize. They’re the perfect supplements to your thank you notes and gift packaging to make your designs even more meaningful. Start downloading! 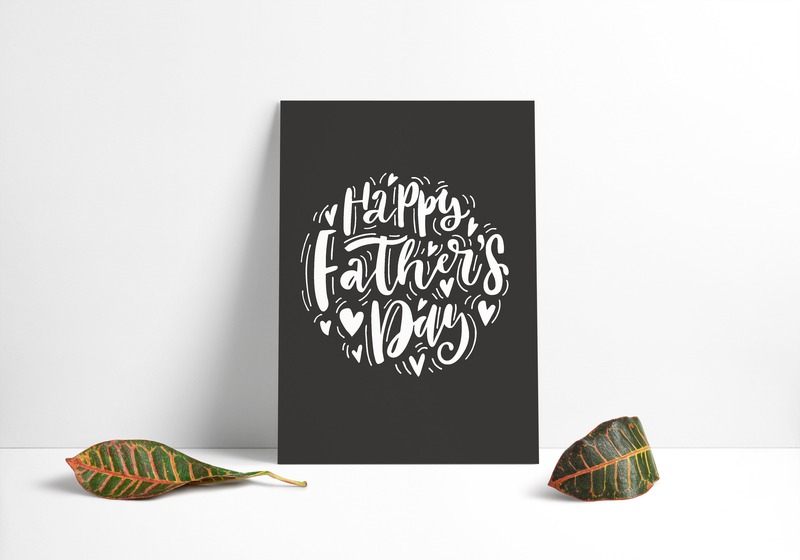 Keep it simple in black and white with this Father’s Day Greeting design. It features simple illustrations and a sophisticated typeface for your greeting. You can easily edit these layouts and incorporate them on your posters or greeting cards without any hassle. 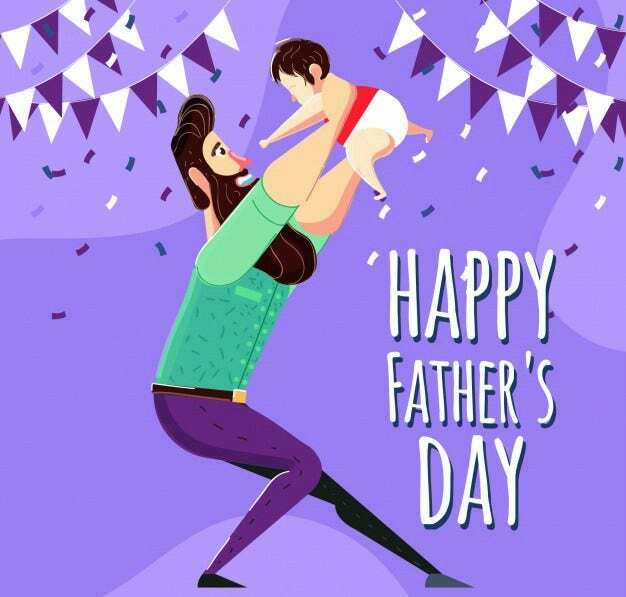 Download the Father’s Day Family Card Design and Happy Father’s Day Flyer Design and use them to print out lovely greeting posters for your dad and all the fathers you wish to greet on their day. Its illustrations look like they cam out of a storybook with friendly and warm graphics. Give your dad this inspiring handmade thank you card without having to say the actual words, “thank you”. It looks super raw and personal with its handwritten font style and simple color use. 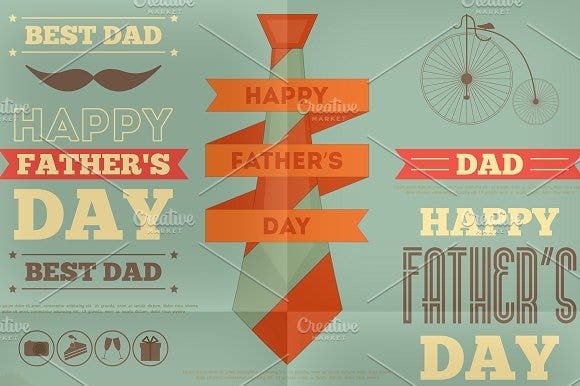 The Father’s Day Greeting Card Templates are all you need to create personalized greeting card designs of your own. This bundle provides you with many design features for you to freely edit and customize to come up with your own unique design. There are ready-made typography vectors, background images, and color swatches at your disposal. Let your dad know he’s your hero, and that he’s the absolute best with these Hero Father’s Day Design and Father & Daughter Flyer Design. They’ve got pretty sweet-looking illustrations sure to melt the hearts of fathers everywhere. 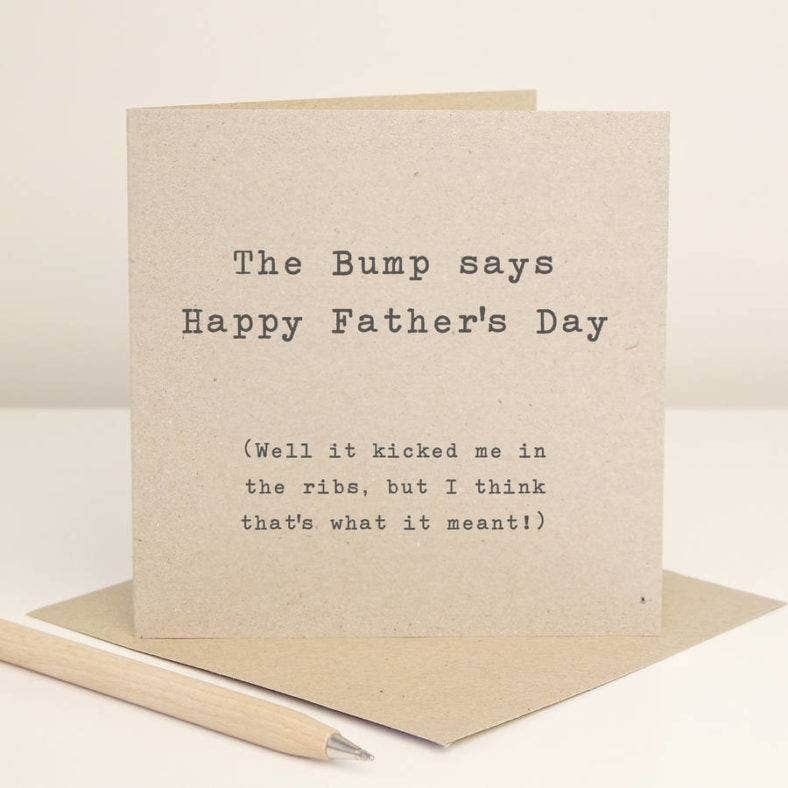 Dad-to-be’s are also much deserving of inspiring and adorable card designs for the occasion. Keep your designs simple and leave all the emotional cues up to your heartfelt and charming message. This Typography Father-to-be Card is sure to keep the excitement up for you and your partner’s growing family. One way of making your Father’s Day card, artwork, or poster even more sweet and artistic is through watercolor typography. Watercolor adds a more calming and intimate effect to your designs because of how delicate and authentic they look. 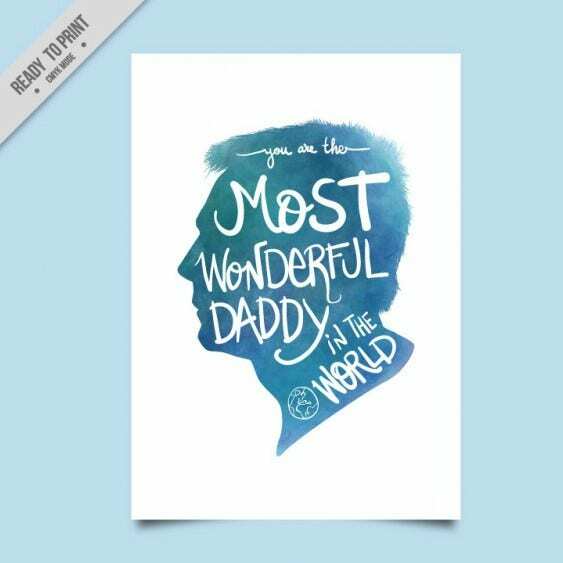 Give your partner, dad, grandfather, or friend a heartfelt greeting card with these watercolor Father’s Day designs. 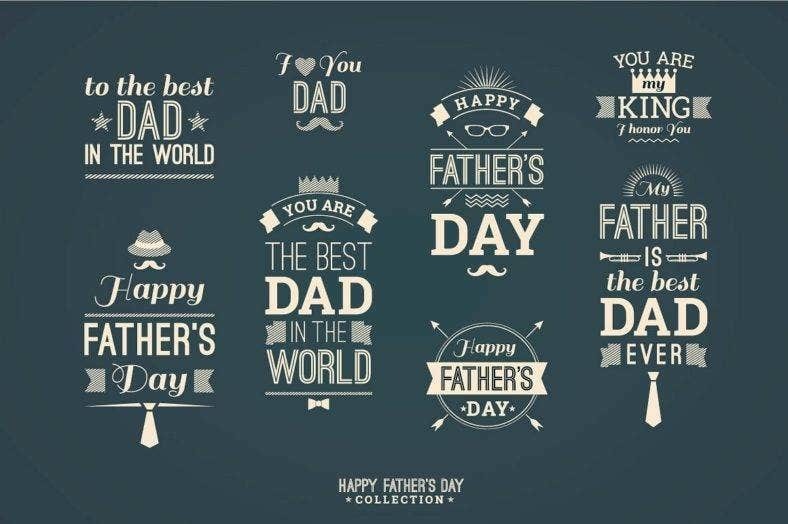 If you’re into typography fonts and designs, download this Father’s Day Lettering Set to beautifully design your cards, framed artwork and posters through text alone. This lettering set offers plenty of layouts and templates for you to use typography greetings on. You can create personal messages and easily print or incorporate them on your preferred stationery or digital work. 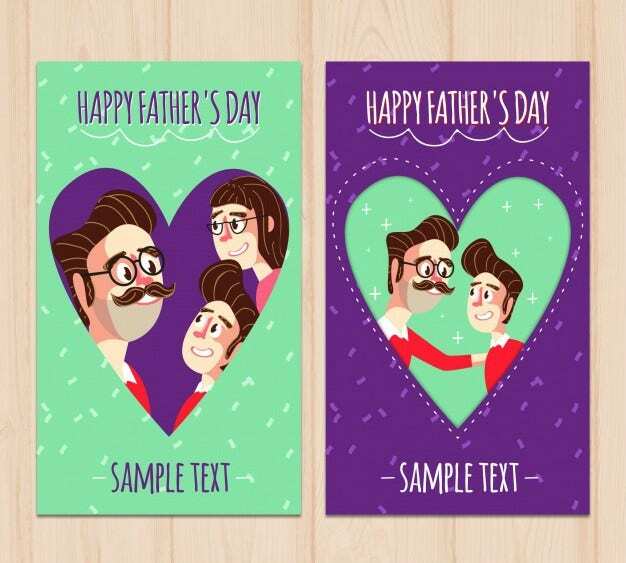 Let your dad know just how awesome he is by giving him a witty and thoughtful thank you card design. 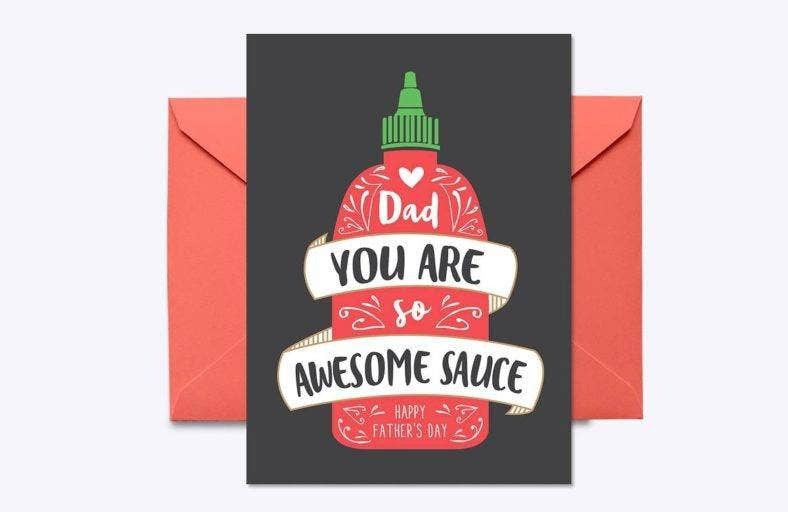 The Awesome Dad Card Design and Awesome Sauce Father’s Day Design are absolutely adorable and personal. 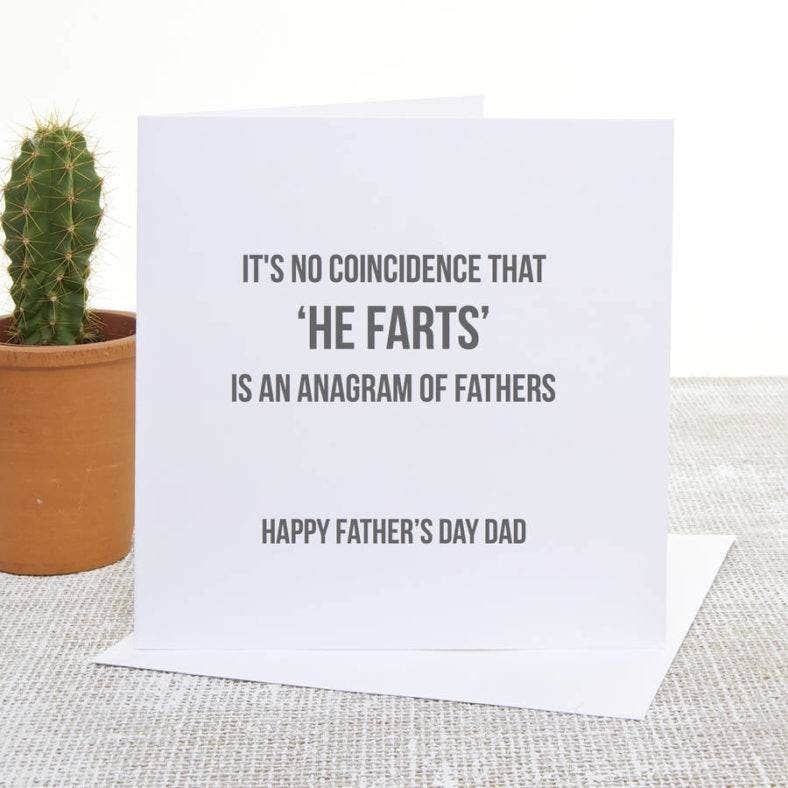 You’ll definitely want to be around when your dad’s face lights up with joy over these cards. The only way to beat terrible dad jokes is by making one of your own. 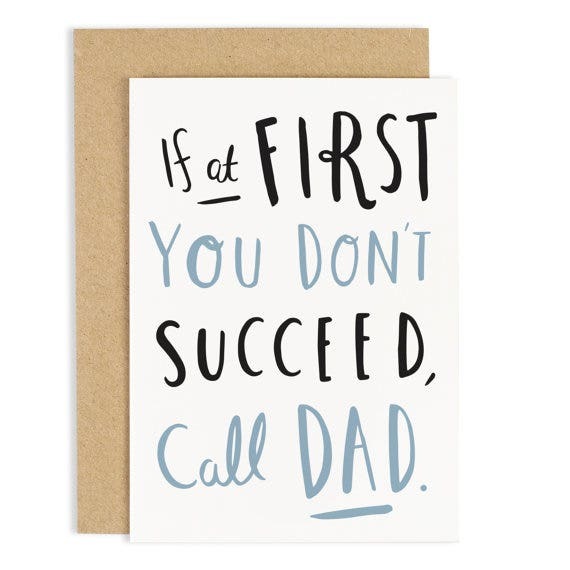 Make your dad proud over your unique sense of humor with this Funny Father’s Day Card. Its minimalist layout is the perfect bait for your unsuspecting father. There’s really no need to dazzle in design when your message says its all. There are plenty of design ideas you can do with all these Father’s Day designs. Keep inspiring yourself and download your favorites from our list to get started on your own gift card designs, greeting cards, and posters. 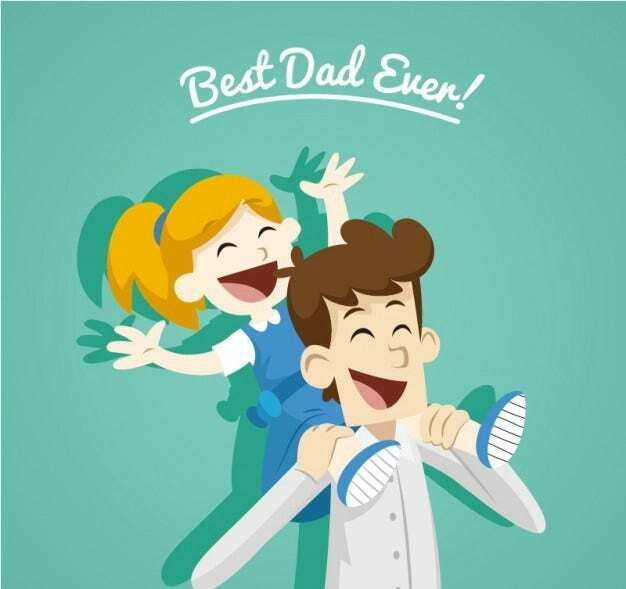 Let your dad feel he deserves nothing but the best on his special day.